I've always been a fan of this drop, but the 2009 (11.5% abv) seems a little light on compared to previous vintages. Don't get me wrong, there is much to enjoy, but the depth and structure just doesn't hit the spot as those from previous experiences. 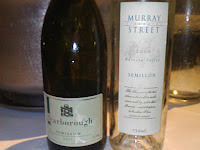 The Pinot (70%) comes from Mt Canobolas, Orange and the Chardonnay comes from the Hunter. In the glass it was much clearer than previous which took me by surprise. Some biscuity characteristics peeking through a whiff of citrus. The palate is clean, fresh and crisp. 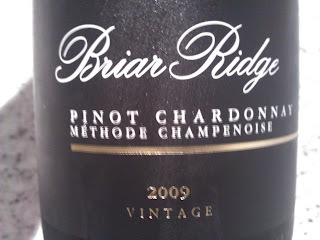 The mid-palate dissolves all too quickly but a nice after taste lingers on the back palate. You could easily destroy a bottle of this in no time. 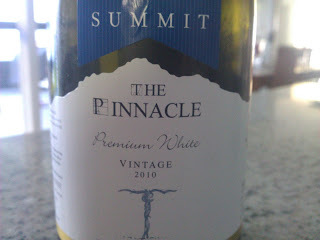 Summit Estate is a Queensland winery on the Granite Belt which has 17 hectares of fruit. 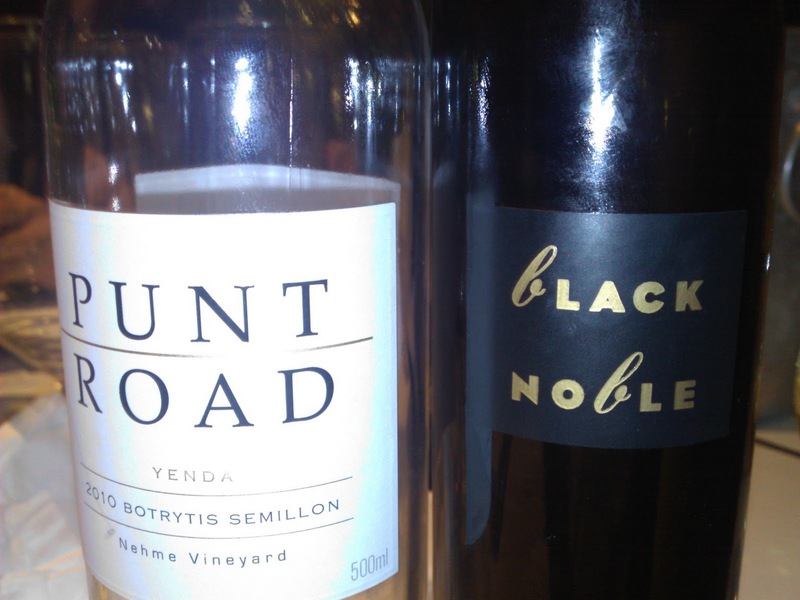 Some most intriguing wine blends are thrown together here. On first inspection one can't help but to raise the eyebrows, but the blending has been done very well and all blends work seamlessly. The wine maker is of Argentine decent and learnt the craft in Spain, and she brings a vast array of experiences and knowledge which are show cased in her work. 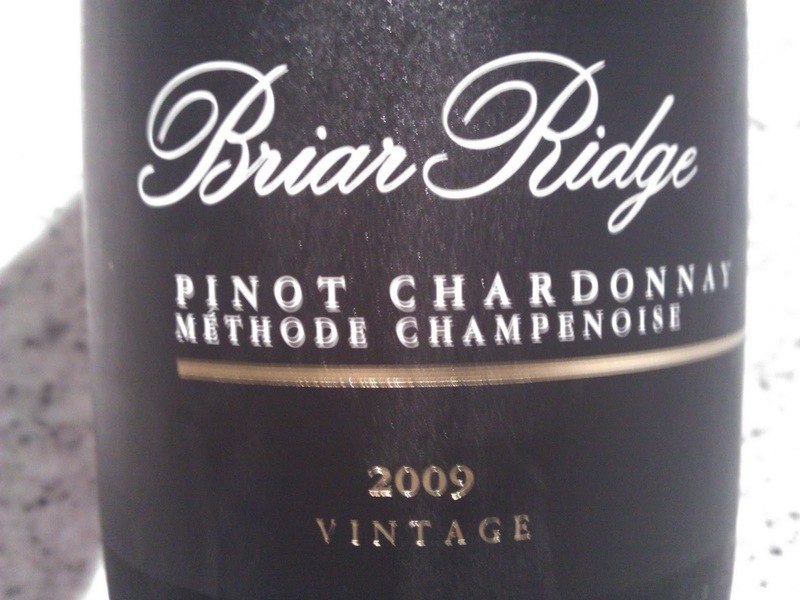 This wine is a blend of three varieties - Marsanne, Roussanne and Viognier. It's not a common blend seen here in Australia, but is a common blend particularly in France. This example shows the fruit all comes together nicely to create a wine which tantalises the senses. Marsanne usually plays second fiddle to viognier in many French blends but not in this case, and the reverse works well. Barrel fermented, the oak influence is obvious on the nose. Toasty characteristics present on a dense, rounded palate along with a nutty persistence. Fruit is full and firm with a long lingering finish. I bought six of these and have struggled to keep to the original plan and leave some aside for a few years. They so good I just keep going back to them. Clare Valley fruit and hand picked to retain the best fruit characteristics, for less than $20 it is a great buy. Aromas of citrus, lime and lemon, the palate is steely, clean, crisp with a solid mineral backbone. For the two years I have kept some, it has developed nicely and will continue to do so for a few years yet. St Agounant Blanc de Blanc 1999. Spends an amazing 10 years on lees which adds a wonderful depth and complexity. Made in the same style as Champagne. Soft, supple and well textured. Bimbagen NV Clean and fresh. Touch of citrus on the nose. Very much a drink now style. Scarborough Green Label Hunter Valley 2011. Clean with crisp, crunchy acid. Needs food I reckon. Murray Street Vineyard Barossa Valley 2010. I was pretty keen on this. I was ready to take a leaf out of the @thewinepunter 's book and make the early call of "the wine of the night!". Clear development already taking shape. Lovely mouth feel and texture. Soft citrus, honey and some melon characteristics. All this for $20... Time to go shopping! Both of the Queensland wines came from the South Burnett region which is 2.5-3 hours north west of Brisbane. The climate is similar to the Hunter Valley - warm days and cool nights. 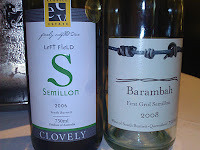 Not surprisingly, semillon has performed well here for many years too. Clovely Estate Left Field 2006. Bottle age has been it's friend developing some lovely toasty characteristics. Softer mid palate but lovely length. Very nice. Barambah First Grid 2008. Needs some time to settle. Acid kick dominant at present. Has potential. Peter Lehmann Margaret, Barossa Valley 2005. This was devine. Texture and fruit superb. Lemon curd is what I was getting. Powers through to the very end. A beauty! Meerea Park Alexander Munro 2005. A very attractive lemony/lime thing going on here. The acid was prominent and crawls back onto the palate when you think it's gone. More time needed but will be a crowd pleaser hands down in years to come. Punt Road Botrytis Semillon Yarra Valley 2010. Oh I love this drop and I was salivating more than Pavlov's dogs when I saw this on the list. All elements in sync here. Man it's good! There's citrus and honey, jammy mandarin. Acid beautifully balanced. Drink with caution, or you'll guzzle it too quickly!!! De Bortoli Black Noble. The best things need little introduction. Chocolate, nutty characters. Lucious length. This is brilliant deluxe, and then some! Be wary, it's addictive. Having been to Heathcote earlier this year, my eyes were opened up to the wonders of this region. This is another example of how impressive this little pocket of the world is. 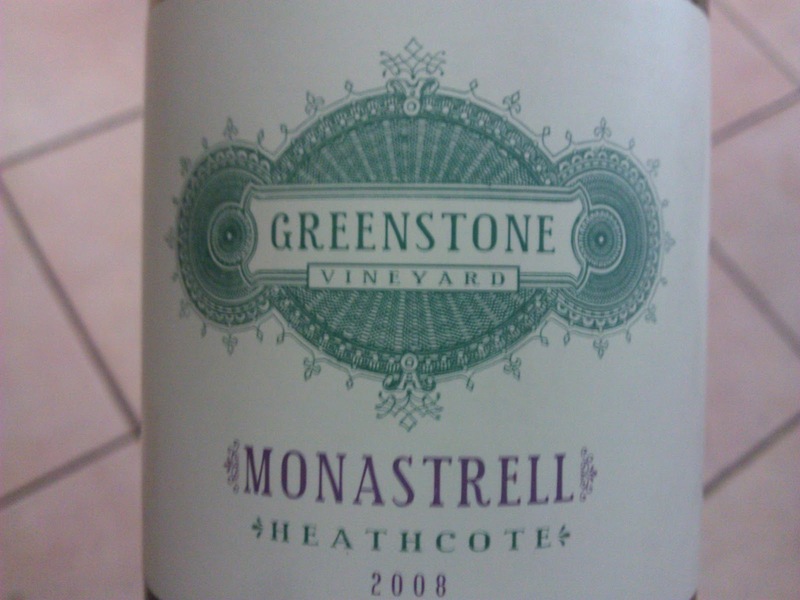 Greenstone is a winery I have read and heard much about and I was fortunate enough to stumble across this last week ($32) when searching for something in the bottle shop to wash down our Italian at the restaurant next door. Monastrell has a few guises and is also known as Mataro or Mourvedre. A nose of rich dark fruits with some herby characteristics. There were earthy tones too which followed through to the palate. Excellent length which developed in complexity over the thirty minute period it was open. Extended time in a decanter will further enhance it no question. There was some gorgeous spice on the palate which was rounded off by some juicy tannins. Acid came more to the fore as time went on too and tickled the palate gently. A beautiful food match and I walked away impressed. Serious yum factor! I couldn't get enough of this little number. Maybe because it was a warm day and I was a little parched, or perhaps it was so easy to keep sipping away at it. Either way, very impressive. Looks great in the glass with a pale straw appearance, I thought the nose was tight but it seemed to relax as time went on. 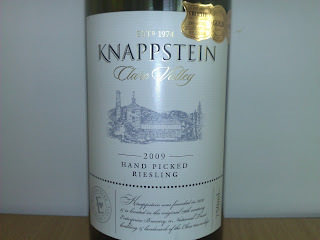 Lovely aromas of lemons, some apple and even a whisker of pear. Clean, crisp and fresh characteristics on the palate really defined this wine (12.5% abv). All elements tie in nicely together which has resulted in a very tidy piece of work, and the price for this quality is nothing less than phenomenal. Add this to the Summer of Riesling list!! 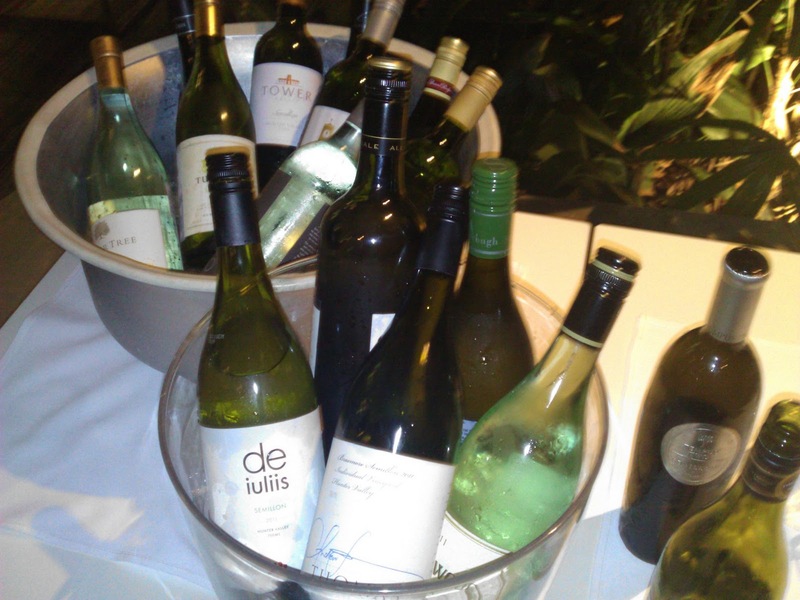 Last night a Semsational gathering took place at Era Bistro in Brisbane to celebrate all things Semsational about Semillon. And not just any old Semillon, Hunter Semillon. 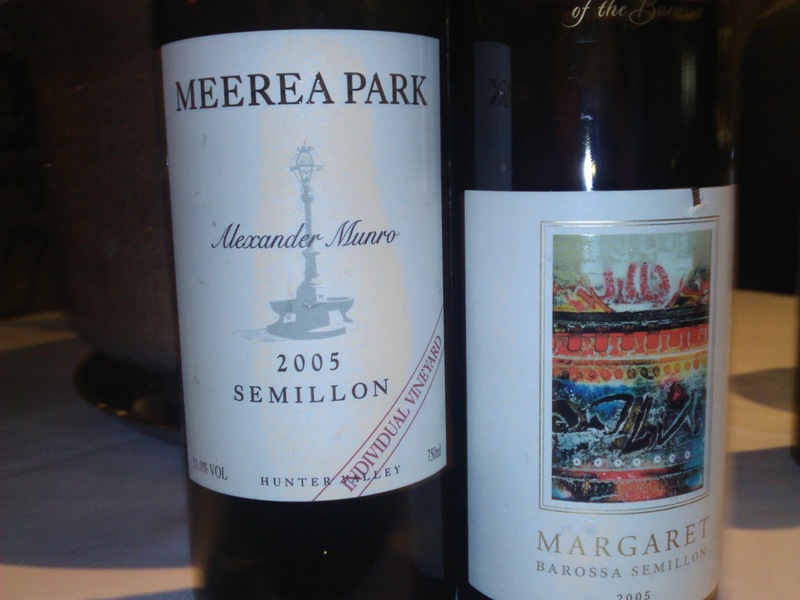 The event was matched by others around the country showcasing 2011 Hunter Semillon at it's best with the aim to remove the perception that Semillon needs bottle age for it to be at its best. 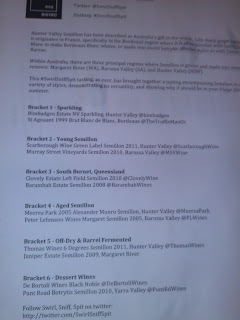 Winemaker Andrew Thomas was present (great to have you there mate!) 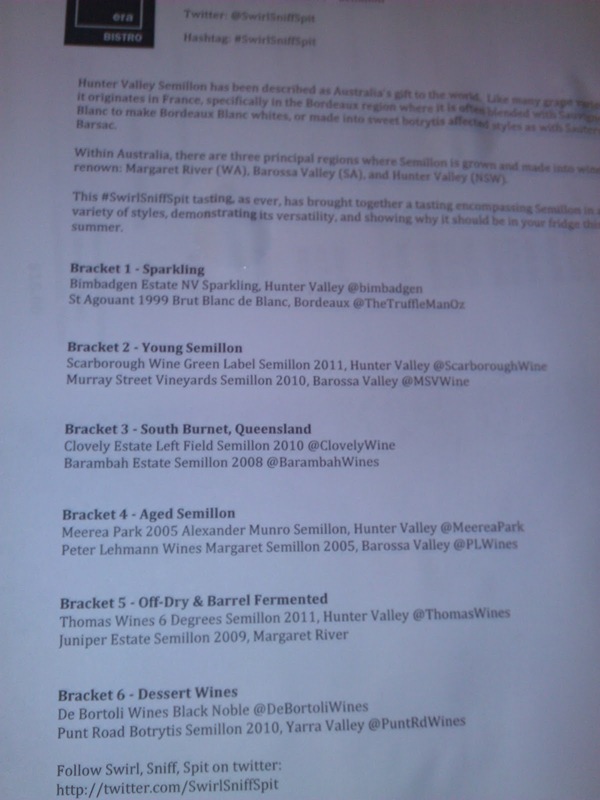 and shared his views on a variety he is very passionate about, and the proof is in his Braemore Semillon. The night was a winner opening the eyes of many to the goodness of Hunter Semillon. 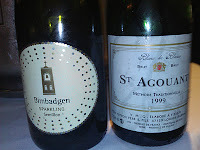 The wines presented a great cross section in terms of quality, acid and price point to name a few. Whilst the same names seemed to be thrown around as the "best", some questions were also being posed about the price of one or two, or should it be said, overprice. Thomas Wines Braemore: Clean and crisp. This is wicked. Serious kick arse stuff. The nose is uplifting and vibrant. Fantastic finish with all elements in sync. Oh yeah! Briar Ridge Dairy Hill: Length man. Length. This wine just keeps giving. Great nose of lemons. Texture is super with great acid balance. The wine hums along nicely. Yep yep! Tyrrell's Vat 1: Very tidy number. Seamless from top to toe and oozes class. No surprises here. Zippy and zesty. Delicious and then some! Tower Estate: Fresh and clean with a sturdy profile and finish. Bimbagen: Loved the texture of this wine. Lemons with tangy acidity. Finishes beautifully. Tulloch: Punches above it's weight and stood up to the others well - and only chases $16! Zesty and very glugable. Smash it with seafood. A gobful of of goodness right here! This Grenache from McLaren Vale is a beauty. Deep crimson and deep maroon in appearance, the first whiff hit me with some oak and then raspberries and spice. Some sweetness came into play too. A lovely mouth feel and my suspicion was correct after checking the website. There is 5% of Shiraz sitting in there. The palate did seem a little fleshier than expected and not that this is a bad thing. That little shiraz hit adds that smidge of grunt factor - and I loved it! The raspberries and spice follow through to the palate from the nose. 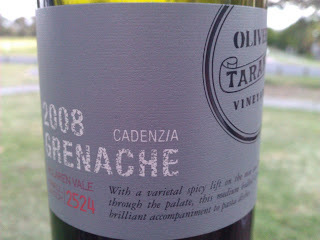 The spice in this Grenache was a winner and leaves you longing for more. Super long finish ensures you have plenty to think about with fine smooth tannins. And that spice, hmmm, give me another top up please!